It's a night of waffles for me and the woman. Buttermilk waffles, to be exact. 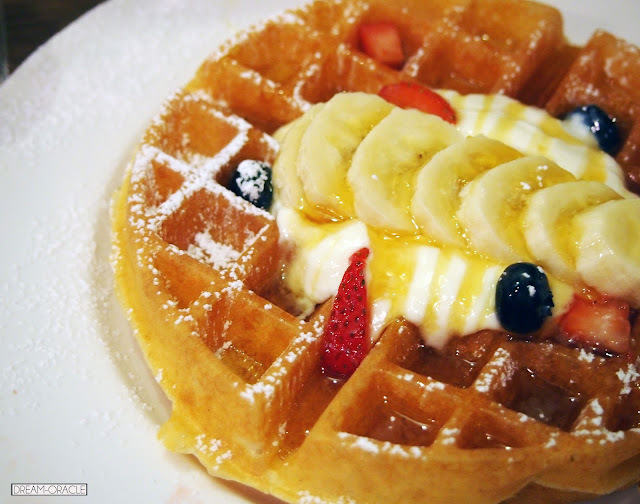 Friday night is for unwinding, and what better way to end it than with a huge plate of waffles?! I haven't had any cafe waffles so this is my first foray into the waffle world. My only experience with waffles are the Prima Deli ones and some epic fail neighbourhood bakery versions. 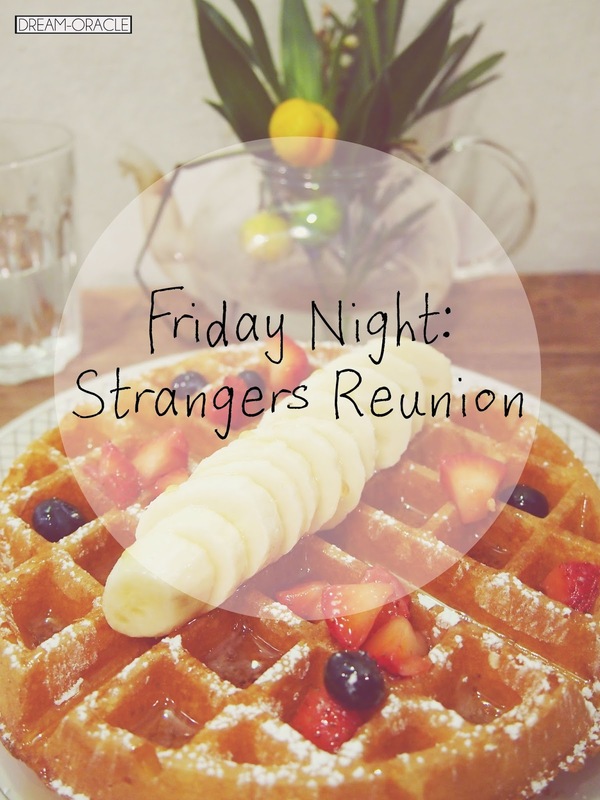 So let's see if Strangers Reunion lives up to their waffley experience. This is the Buttermilk Waffles with Greek Yoghurt and Fresh Fruits. This dish was pretty enjoyable, I like that the bananas were soft and ripe, the maple syrup sweet enough to complement the plain Greek yoghurt and slightly sour berries. The waffles were soft and fluffy, very light and airy. 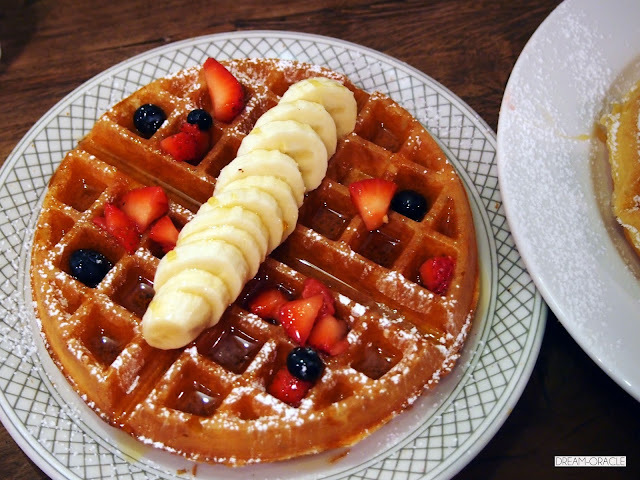 This is the Buttermilk Waffles with Maple Syrup and Fresh Fruits. I have to say, this is not as good as the previous dish. This plate of waffles was less fluffy and more crispy. Perhaps they didn't really standardize the cooking time for the waffles. Also, without the Greek yoghurt to balance out the tartness of berries and sweetness of syrup, this dish is far too sweet for our liking. The waffle was basically swimming in syrup. I have to say the waffles aren't superb. They're good enough for your waffle fix, but not superb.